It’s still not clear how a rabbit got into the cabinet room. And in fairness to the then Prime Minister, it had been a difficult meeting. Her ministers didn’t like the new policies they had been made to announce, as the election drew close. She could understand this. Building council houses, capping energy prices and, worst of all, giving workers more rights, were the kind of ideas they would have expected from the opposition. She could understand their discomfort, but winning the election wasn’t enough. This was a once in a lifetime opportunity. The PM wanted to win big. Being able to mobilise ninety percent of the media as her own personal propaganda machine wasn’t enough. That ten percent of dissenting voices niggled her, chipping away at the size of her majority. That was why she’d come up with these new measures. For Mrs May, it wasn’t enough simply to have the right-wing press tell the ordinary people she was the best choice for them. She needed to prove it, with policies that would take away what little remaining claim the opposition had to the votes of the little people. That was the way to really clean up. This had all been explained to her ministers, on a one-to-one basis (in private, of course). Did they have so little trust for her that they imagined she would actually implement these new, rather socialist policies after the election; after she’d achieved her record-breaking majority? On reflection, it had perhaps been a mistake to let the cameras in for the last section of the cabinet meeting. She was angry with herself, realising – too late – that she hadn’t sufficiently prepared her ministers. None of them had shown outright dissent, but it hadn’t been the stylish showcase of a group of ministers, at the top of their game and working together as one, that she had planned it to be. Mrs May could barely control her anger. There was no question of the party failing to win the election, and with a big majority – that was in the bag – but her colleagues’ behaviour, in front of the media, may well have compromised the size of that majority. When the meeting closed, the PM knew that she would be expected to smile – not to do so would be a public relations disaster. But however much she tried, her face just wouldn’t respond; she was too angry. And this inability to produce a smile that she was confident would be convincing, only served to increase her rage. She stood up, moved her chair out from the table and began to make her way to the door, her face fixed in a twisted parody of a smile. It was at precisely this moment that the rabbit decided to break cover from the piece of furniture under which it had been hiding, and set off across the room. Concentrating on her attempted smile, the PM didn’t see the bundle of fur that ran across her path, until she caught her foot on it, tripped and nearly fell. 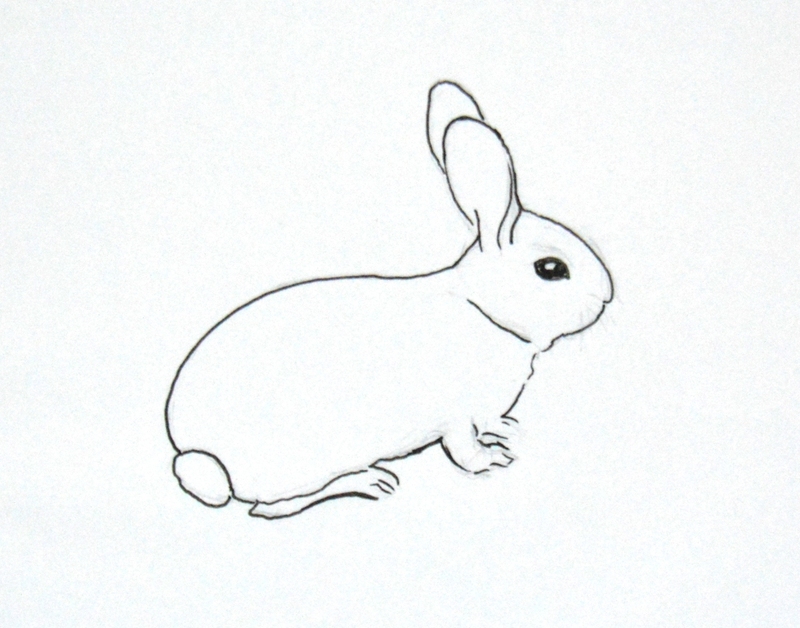 The rabbit, confused, dazed, but apparently unharmed, froze. The PM’s face, never having quite achieved an expression of jollity, flipped suddenly to a fearsome embodiment of rage that would have sent permanent secretaries running for cover. And in a momentary and catastrophic loss of control, she swung a designer-heeled foot at the offending animal. The rabbit, fortunately, hopped out of the way just in time, so there was no contact, but it hardly mattered. In a single moment, Mrs May went from a strong and stable leader, lauded by the media, to that evil woman who kicked a bunny. Her reputation was destroyed. As if that wasn’t enough to bring about an unprecedented reversal of fortunes, the Home Secretary had been seen to laugh openly at the woeful action, and several other cabinet ministers had covered their faces, or turned away to hide their amusement. What was a disaster for the Conservative Party in general, and for Mrs May in particular, didn’t turn out to be such a bad thing for the rest of us. The rabbit survived, unscathed. The Labour government hasn’t proved to be the catastrophe the right-wing media told us it would be. And the photograph of Jeremy Corbyn stroking a docile white rabbit, which was sitting on his lap, has become an icon of the age. This entry was posted in Politics, Writing and tagged Election, fiction, short stories. Bookmark the permalink.